It was a smart move made by the organizers to play the traditional final day Singles Matches on Saturday, with the top two Tours facing off in four Foursomes on Sunday. With respect to the ALPG and LET, this was always going to come down to the KLPGA vs JLPGA. 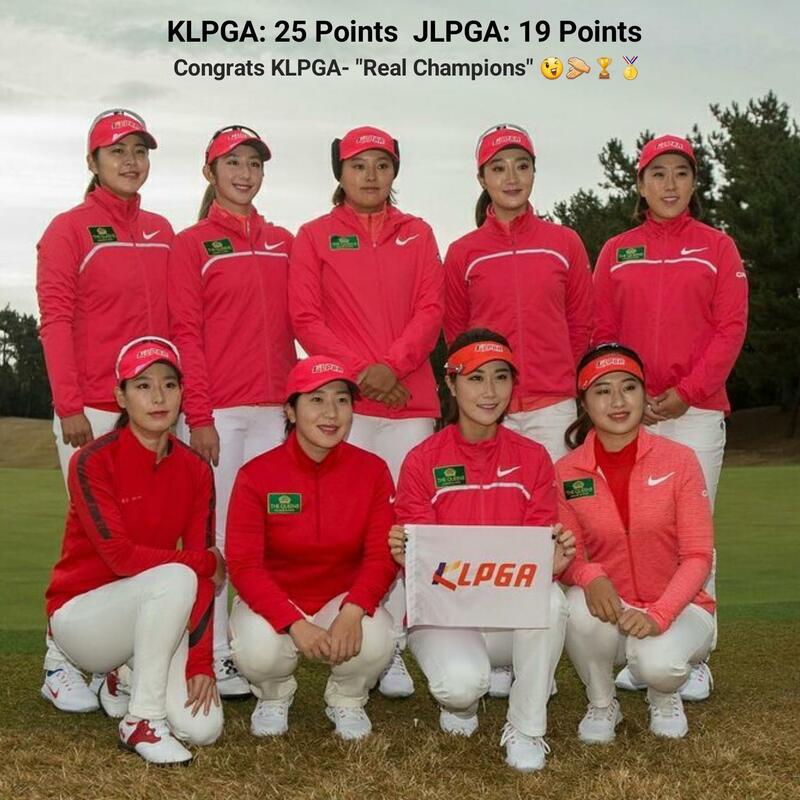 The Korean ladies dominated the opening two days, amassing 24 points, double that of their nearest challengers from Japan. In spite of this substantial lead, the slate was wiped clean on Sunday and it was a straight head to head between the rival Tours. The Japanese ladies won three of the four matches, and halved the other, handing them the title. Can you imagine if they used this format in the Ryder Cup, Presidents Cup or Solheim Cup? It would be a once off and hopefully this is too. On paper, the KLPGA team were comfortable winners, and sometimes a trophy isn’t needed to justify the true champions. On a more positive note, Jin Young Ko was awarded the MVP, after picking up two wins and a draw in her three matches. 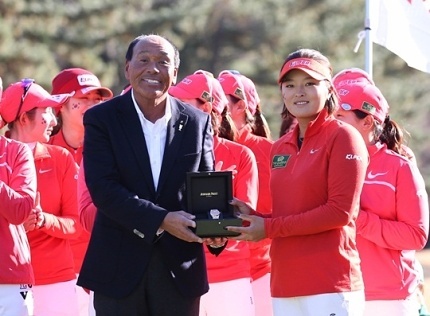 This was Ko’s final event before she becomes a full member of the LPGA Tour next year.